You are here: Home / Appetizers / Beer bread, my favorite kind of bread..
Beer bread, my favorite kind of bread.. Recently, I rediscovered one of the easiest, cheapest, and most delicious baked goods I have ever consumed. I bet you have the ingredients for it in your pantry right now. 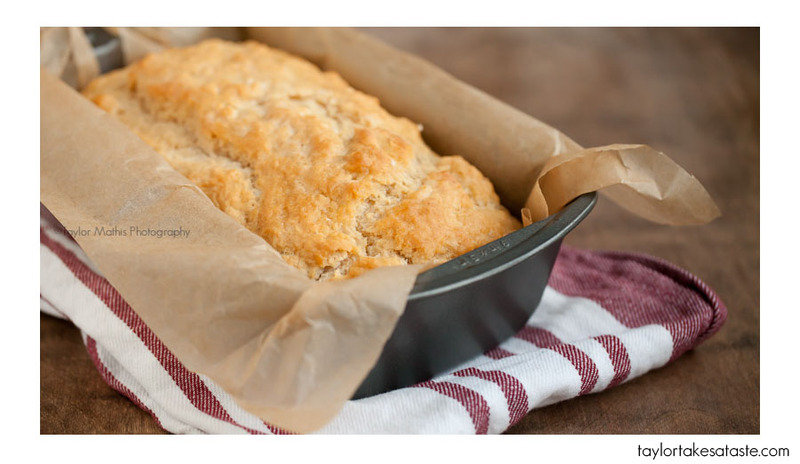 I am of course referring to the humble and often forgotten, BEER BREAD! Yes believe it or not there are many uses for beer other than drinking. Typically wine and liquor are the go to alcohols for cooking, but I would argue that beer is better. If pie is the new cupcakes for 2011, then I am proclaiming beer as the NEW alcohol to cook with. 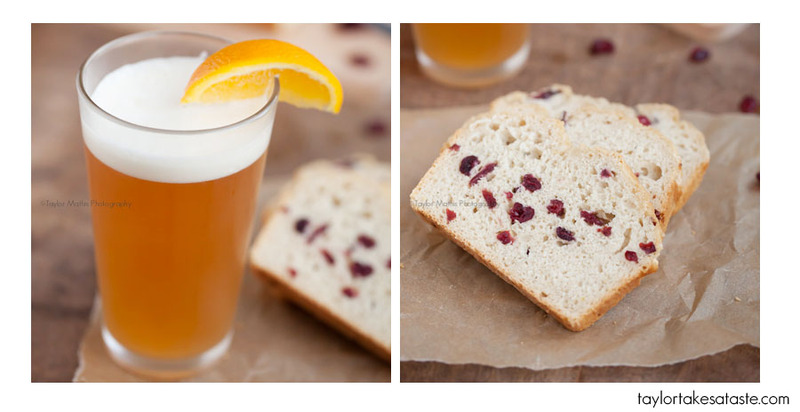 The easiest way to incorporate beer into your cooking is with beer bread. My first exposure to this quick bread was years ago. My mom lived off the stuff in law school, and occasionally throughout my childhood, she would relive her law school days and make a loaf of beer bread. (In case you are wondering, the alcohol cooks out, so it is legal for under age people to eat). I wish I had thought of this in college, but sadly I didn’t. SO FOR YOU COLLEGE KIDS, this will replace your ramen. I guarantee you already have the beer, so all you need is flour and sugar. And if you don’t it is incredibly inexpensive to buy. To give an example of how easy this is to make, here is a story from earlier today. As my loaf was baking, I was talking on Facebook to one of my friends. He asked what I was up to and I told him “making orange cranberry witbier bread” This being an usual response he inquired as to what that was. I told him the recipe for beer bread and sure enough he had all of the ingredients on hand and made his own bread. Well almost all of the ingredients. He lacked a loaf pan so he made his in a pyrex bowl. I would recommend a pan, but evidently a bowl works just as well. 4) let cool and enjoy! That’s all there is to it. Well I am not in college anymore and my beer tastes have matured. PBR or any of the beers I mentioned earlier still make a delicious product, but there is so much more to beer than just these quantity over quality beers. Earlier this week, I made 6 loaves testing seeing how the flavor of beer bread changes when you are using a stout, IPA, a brown ale or other styles of beer. I came across some very interesting conclusions that I will share with you in future posts. 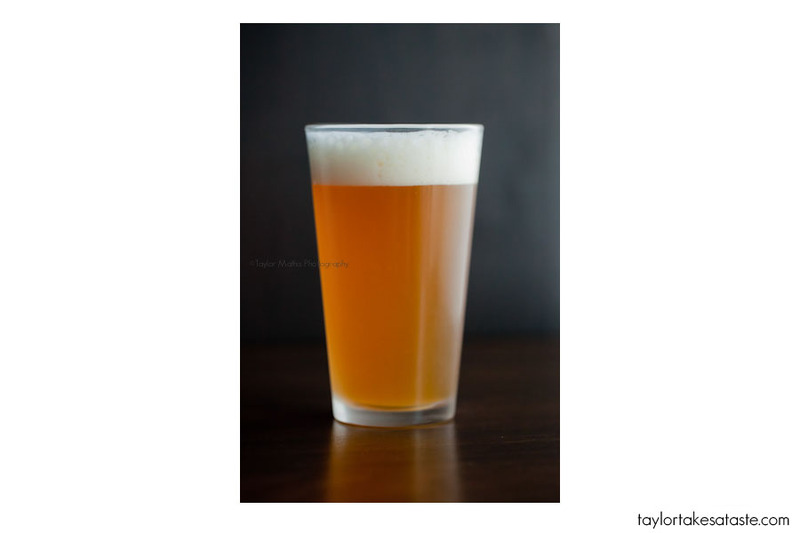 For today’s beer bread recipe I am using a witbier such as Blue Moon, Shock Top, Allagash White, Leine’s Sunset Wheat, Great Lakes Holy Moses… (the list goes on) These beers have a distinctive taste and look caused by their brewing process. They are often brewed with some type of citrus and coriander, and are served with an orange or lemon wedge on the rim. Now that I am a couple years out of college, I have to make a beer bread to match. Here is what I came up with. 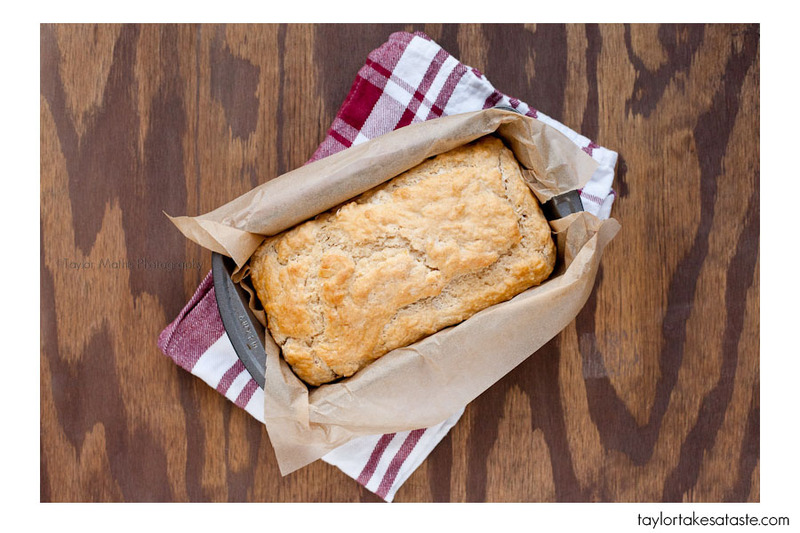 The humble and forgotten beer bread is not so humble or forgotten any more. You might be wondering what other types of beer you can use and waht can you do with this delicious bread? Well my friends I will show you, but that is in another post! So go grab a cold one, measure out some sugar and flour, crank up the oven and experience the wonder of beer bread for yourself! My first visit here and I love it. Your photographs are so rich, and well, I like what your eating. I’ll be back for more. Thanks Dana! I am glad you stopped bye! Thanks Christina, The orange zest and coriander are awesome additions. I have a few more variations I have come up with that I will be sharing in the next few posts. Thanks for the comment. I tried making this with Blue Moon and it was a hit! I love the subtle taste that the coriander adds to the bread. I agree Grace, Blue moon is great beer to drink and make Beer Bread with! 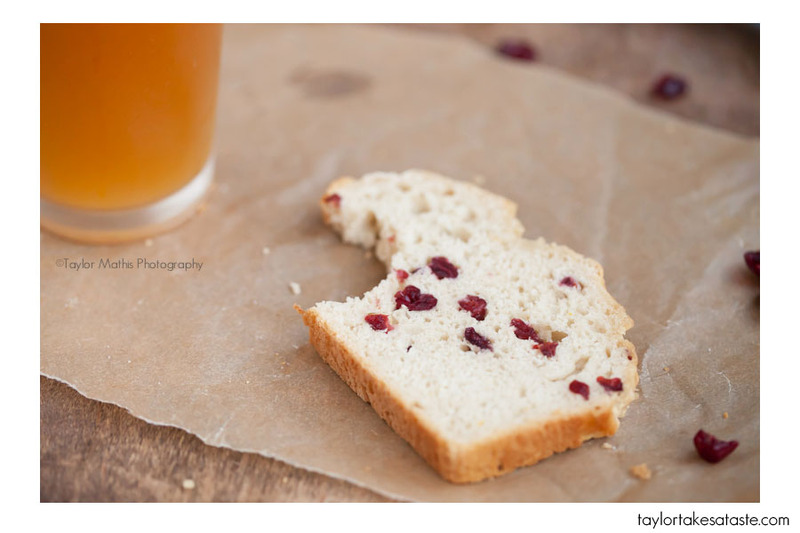 I could make beer bread everyday and my kids would be in heaven! Looks delicious! Do you use dried cranberries in this and if so how many? I make beer bread too, but I want to try your recipe. I do not have self-rising flour; can I use some sort of leavening? Thanks for the help; I love your site! Thanks Tina! Glad you like the site. I am sure you can use baking soda and baking powder, but I am not sure what amounts you would need. I have only made this with self rising flour. Thanks again for the comment!